The first Friday Bookblogging we’ve had in a while! And lots of book-type stuff to talk about. We were fascinated to learn that Colleen McCullough, author of The Thorn Birds, has written a sequel to Pride and Prejudice called The Independence of Miss Mary Bennet. The Australian has some more information about it. As Austen made her, Mary is the hedge among the roses, the sister with the tuneless singing voice and the unrequited crush on clergyman Mr Collins. Um…crush not in the book. In just about all the movies, but not the book. Austen only goes so far as to say that Mary might have been prevailed upon to take Mr. Collins as a husband. That’s hardly a crush. Is Mary Bennet capable of a crush? 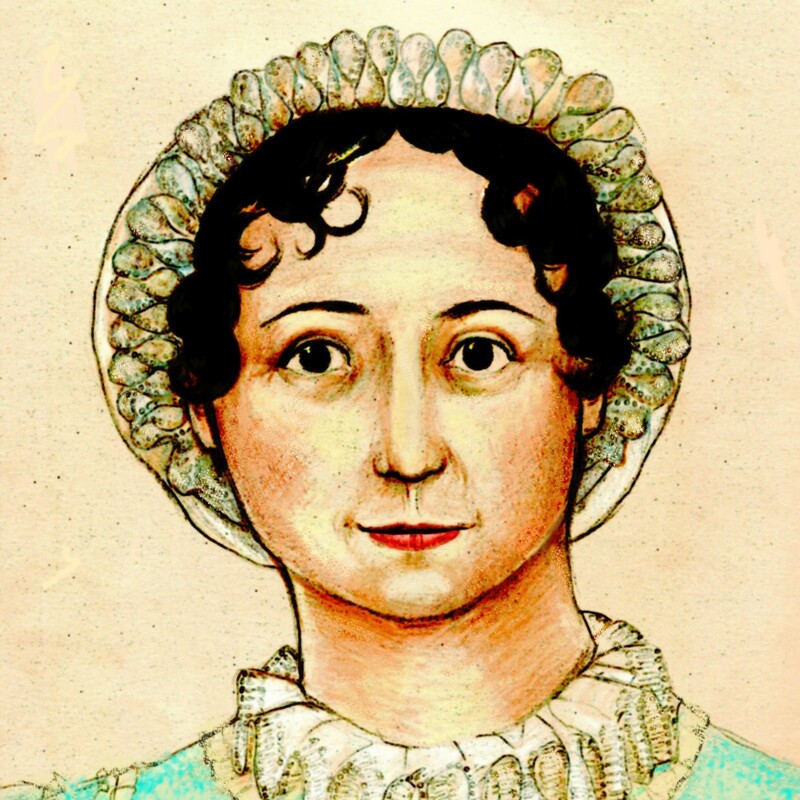 ‘‘First of all, why Jane Austen didn’t like Mary, to whom she devoted a whole eight sentences. Because she was conceited and pedantic? Just taking a stab. The other question was whatever happened to Mary? It would irritate a lot less–and perhaps not at all–if she paid a bit of attention to at least the original novel. But then we’re just a tar-hearted dried-up spinster purist blah de blah. Now, here’s how not to irritate the “literati”: if you must use Jane Austen’s novels as a springboard, at least use them to springboard somewhere respectful of the original. You get bonus points for being clever and original. It sounds like Reginald Hill, author of the Dalziel and Pascoe mystery novels, might soon be enjoying the approbation of Janeites as his novel A Cure for All Diseases, inspired by the unfinished Sanditon. It’s coming out in Canada; the Globe and Mail has a review. Hill has maintained the quality of this series because he never drifts into formulas and his characters, from walk-ons up, are always inventive, intelligent and beautifully constructed. In the midst of the Healthy Holiday folks, we have a neurotic psychiatrist, some very peculiar aristocrats and some genuine Yorkshire characters, including Charley’s ask-nicely-and-shoot father. Everything from accents to plot is pitch-perfect. Miss Austen might not have welcomed the notoriety, but secretly, she would be proud to be the muse of this clever and intelligent peek at a modern Sanditon. We hope it is released in the U.S. soon! The Oxford University Press blog has a post on the New Oxford Book of Literary Anecdotes, which includes the episode in which Jane Austen exchanged letters with James Stanier Clarke, the Prince Regent’s librarian. She was polite; he was a bit, er, pushy. The Smart Set uses Jane to snark on the Literary Darwinists, and we find it impossible to object. Likewise for the work of Joseph Carroll, who has, with at least a notable obsession, subjected Jane Austen’s novels to a withering barrage of statistical analyses in order to find out, for example, whether people tend to “dislike,” have “sorrow” for, have “interest” in, or “root” for Austen’s female protagonists. Poor Emma with her -0.17 score, so unrooted for! Carroll concludes that, “All of Austen’s novels move inevitably toward a culminating state of connubial felicity,” (he means the characters like to get married) a conclusion also drawn, no doubt, by those who simply read the novels. He concludes further that readers of Jane Austen tend to enjoy the prospect of being drawn into the happy world of 19th-century privilege. I’m glad to find out I’m not alone in this (and Austen does tend to cleanse the palate after too much Dostoyevsky). Henry Hitchings (we assume tongue firmly in cheek) explains how to fake like you’ve actually read the classics. For instance, you may draw attention to the fact that Proust was known for leaving extraordinarily generous tips when he went out to eat. Equally, Albert Camus was a goalkeeper, Tolstoy did not learn to ride a bicycle until he was 67, two of Jane Austen’s brothers were admirals, and Cervantes was a purchasing agent responsible for provisioning the Spanish Armada. From here you can extrapolate enthusiastically, heading in a direction with which you feel comfortable. As you do this, the person to whom you are talking will fill in the gaps. I know because I have tried it. For instance, mentioning that Austen had two naval brothers will precipitate a stream of observations at each of which you need only nod. Her novels, it’ll be noted, repeatedly play on themes familiar to those with naval connections: the excitement of news received from afar, the social benefits of a promotion, the drama of abrupt arrivals and departures. You tee this up, and a mass of information follows, for which you get some of the credit while deserving none. Colleen McCullough, and her fellow sequelists who prefer to not clutter their muse with actually reading the novel to which they are writing a sequel, should take note. And now that we’ve circled back to our beginning, it’s time to end this week’s Friday Bookblogging. Until next time, Gentle Readers, always remember: Books Are Nice!